I hope you all enjoyed your Holiday! I sure did! My little grandson was so much fun! Thank you to all of you who came to my Anniversary Sale on Saturday, it was a great success. We will continue to offer sale prices on some items. Congratulations to all the Ohio State Fans! Condolences to all the Michigan State Fans! This is Tuesday we will have a double demo! Kathy Snyder will show us how to create gorgeous Tri fold cards using the Art Impressions stamp sets and Mary Kennelly will demo Ribbon Tree cards – they are beautiful you won’t want to miss this one! Starts at 6:30pm. Thursday we have our Make and Take, as usual, from 1pm to 4pm. Thursday at 6:30p, Marla will teach her card class. Pictures attached. Please register ASAP if you want to take this class. Ask those who have taken her classes…they are lots of fun! There will be no card classes in December. Peggy Packer will lead the last two “Page of the Month” classes on Friday, December 14th at 6pm and Saturday, December15th at 10am. Be sure to preregister. It has been a really great series of classes, Thanks Peggy! I hope to see you this week! I’m expecting some new “Riley” stamps later this week and some of the fine dry Stickles glitter. The order from Impression Obsession came in and what beautiful stamps they are! There are lots of sentiments and some new “scene” stamps (old pickup truck, radio flyer wagon, farm wagon, Christmas Bridge). The MemoryBox order came in also. We received more of the red snowflake paper that we used on the make and take recently and lots of dies! We have some new paper from Graphic 45 also. 8″ x 8″ Nutcracker paper and stickers and 8″ x 8″ Ladies Diary paper. Check it out! 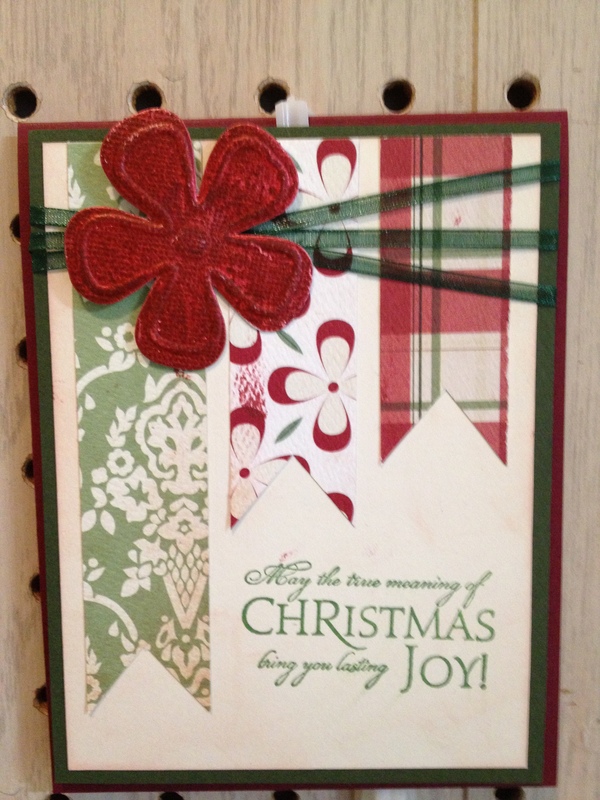 I have several new Christmas embossing folders from Darice, too. Last week Stacy Rich taught her Christmas Box. It was fun and good to see her again. This was her last class until next spring. This week is COUPON WEEK! Bring in your Michael’s, JoAnns or Hobby Lobby coupon and I will honor it up to 40% off any Item not already on sale or discounted. This Tuesday is our free Demo at 6:30pm join us for a fun time! This Thursday we will be closed for Thanksgiving. Sorry! No Make and Take this week! This Saturday is Small Business Saturday. It is also our one year Anniversary! We will be having a sale and special give aways. Be sure to stop in! I hope you are all enjoying this lovely weekend! I know I am! New things came in last week! In addition to the Color of the Month cards and the new addition of Scrap and Stamp magazine, we received a number of new dies and stamps from MemoryBox, a few new “Riley” stamps, and some Christmas Darice embossing folders! This Tuesday is Sue Freeman’s demo. She will show us a technique involving glitter (goodie! we love glitter) and tape! It starts at 6:30p and it is TOTALLY FREE!! Join us in the classroom for a good time! 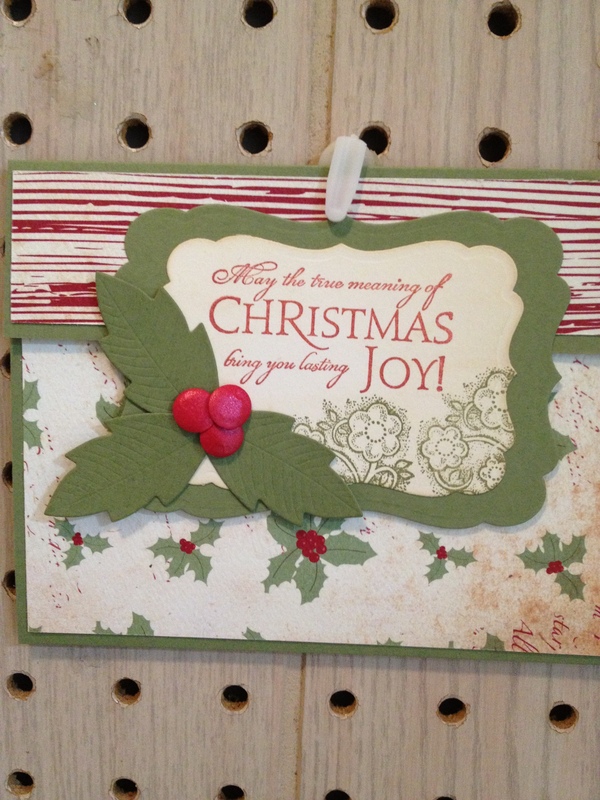 This week I am also looking forward to welcoming Stacy Rich for her Christmas Box class on Thursday Nov 15th. The fee is $35, there are openings. Call to register! Peggy Packer’s Page of the Month class has been postponed. Details to follow! Next week is Thanksgiving!! Wow, that came up Quickly! It will also be our Coupon Week and that Saturday – the 24th- will be our clearance sale. Marla will be doing the Demo on Tuesday, as usual. There will be no Make & Take that week. That’s about I can think of right now! I’m sure you’ll let me know if I left anything out! LOL! Have a great week! I hope to see you soon! Thanks for your interest in my store! We are open Tuesday, Wednesday, and Thursday from 12-7pm and Saturday 12-4pm. Closed all major Holidays. A large selection of inks, embossing powders, stamps, dies, markers, adhesives, tools, BLING, ribbon, and paper -including Lasting Impressions, TaDa, BoBunny, Glimpse, Kaiser Craft, Paper Cuts (metallic), Memory Box, Prismatic, core d’ nations Ranger and Bazzill. A weekly newsletter that gives you an idea of what is happening in the store in the coming week and usually a recap of what went on the week before. Free demos every Tuesday at 6:30p -The Demos are generally stamping or scrapbooking related, however they may be a fun project or technique. 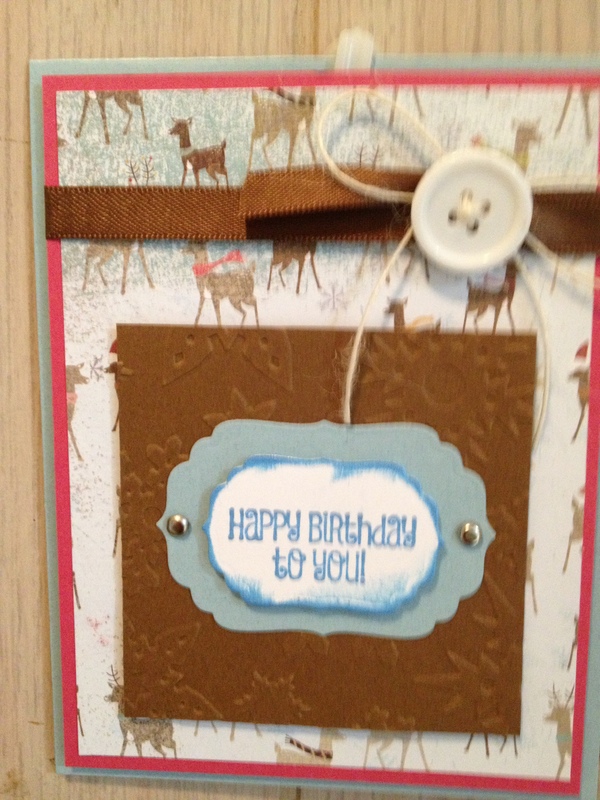 Come meet other stampers and scrappers and learn something new! Make & Take cards most Thursdays from 1-6pm. We set up 2 cards for you to make. You may make up to 3 of each card for a fee of $1 ea. Classes several times a month- All classes must be prepaid and preregistered. No refunds are given if you don’t attend the class, however a class kit will be made available to you. Class sizes are limited so register as soon as you know you are interested. A “Stamp of the Month” program in which the customer chooses the stamp on which they will receive a 40% discount each month. This discount is for stamps only. It doesn’t include stamp & die sets , stamp & embossing folder sets or special order stamps. Ask for your Stamp of the Month card at the check out counter. A coupon week every month. Coupon week is announced in the Newsletter. During the coupon week we accept coupons from Michaels, JoAnns, or Hobby Lobby for up to 40% off any one item. One coupon per customer, per week. Coupons are not good on special order items or items already on sale or marked down. We have started a new referral program. Stop in and pick up a referral card, give it to someone who hasn’t been to our store before, when they come in to our store and present it at check out they will receive 20% of an item their choice. What’s even better, when you come in, we will give you 20% off an item of your choice. As always, discounts are not good on special orders or already discounted items.